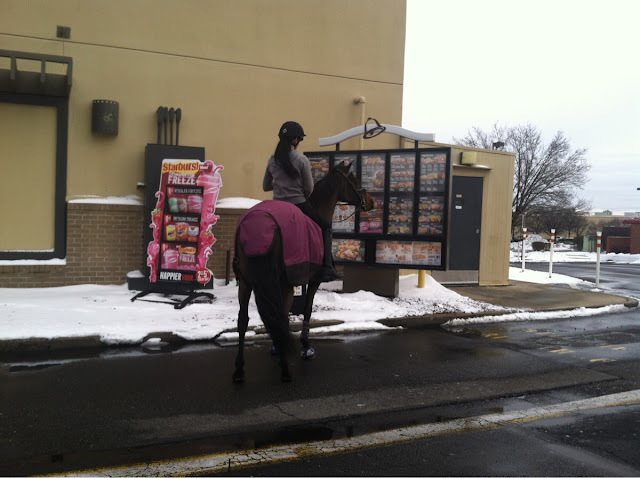 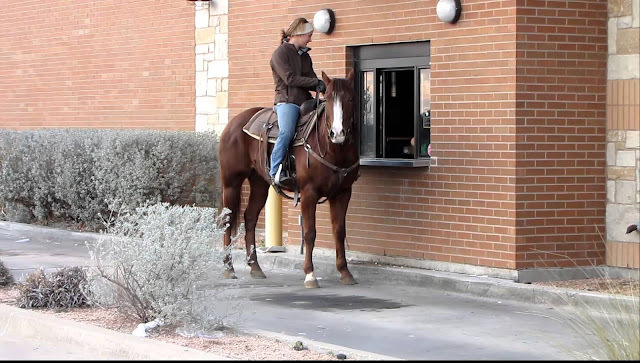 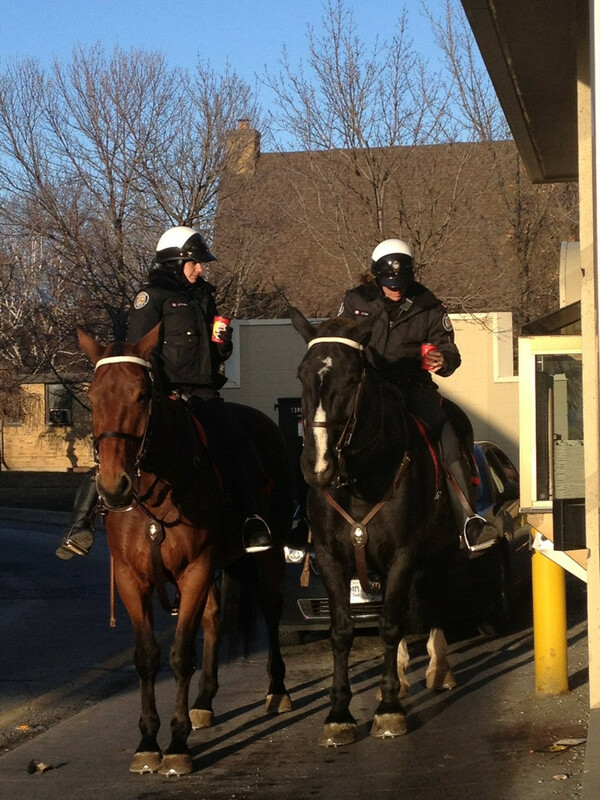 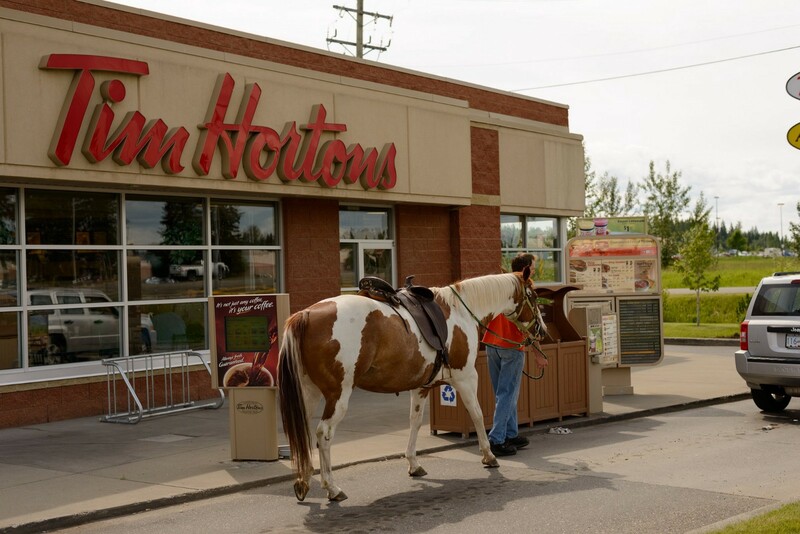 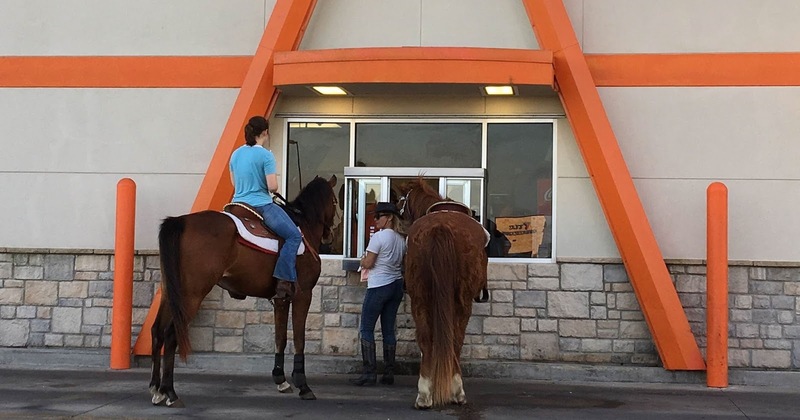 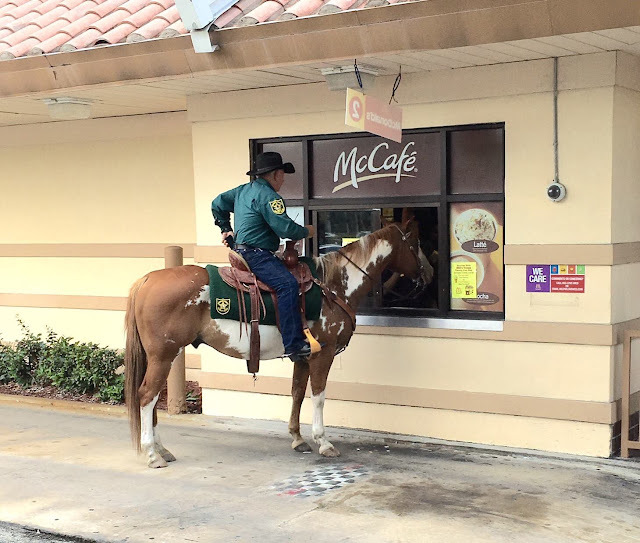 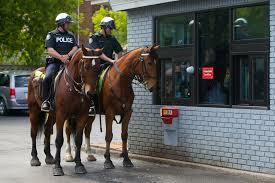 Could someone go through a McDonald's drive-thru while riding a horse? 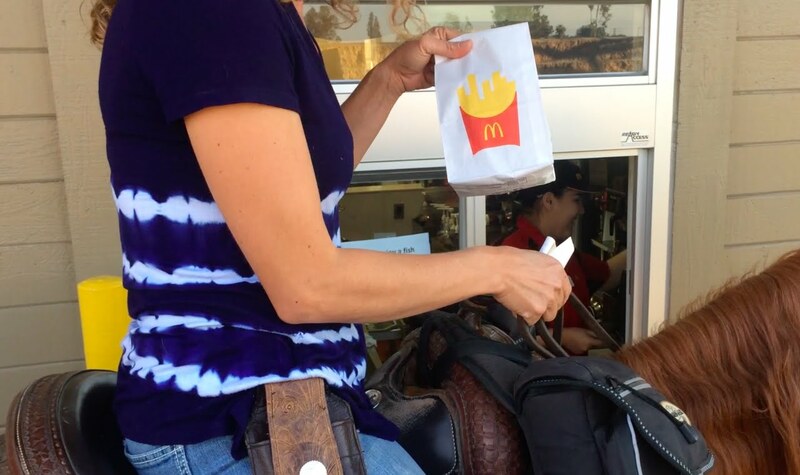 I have actually done this. 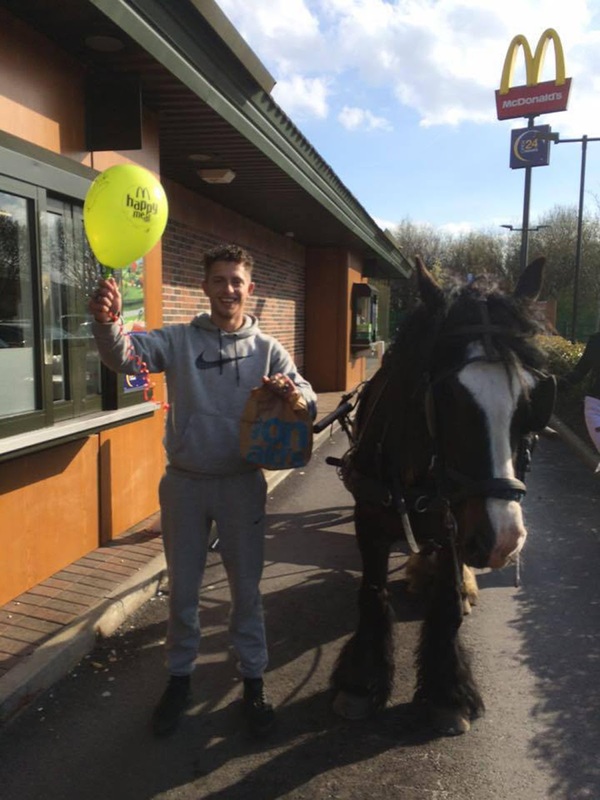 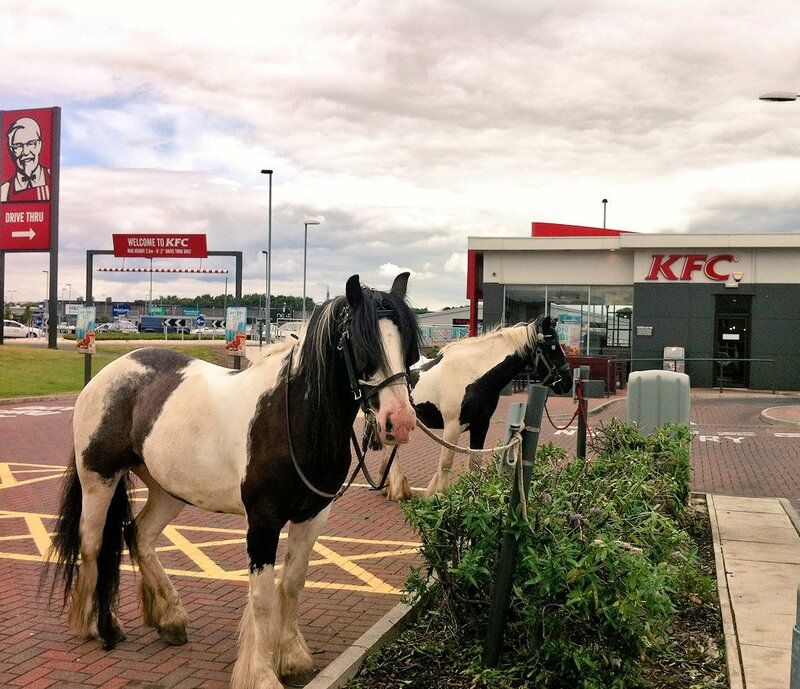 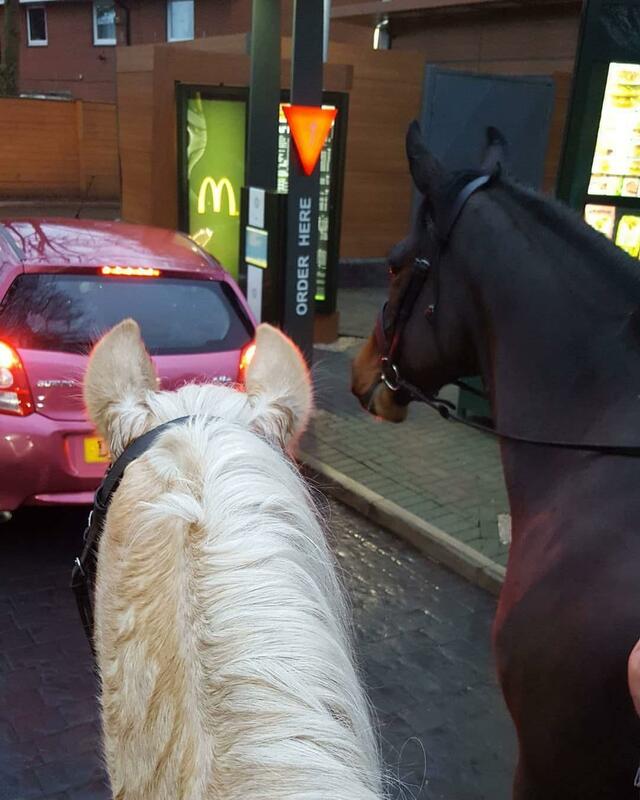 My friend and I thought it would be a laugh to ride our horses through a Burger King drive through. The sensor didn't register our presence because we weren't in a car, so we had to ride up to the window to give our order to the very surprised employee. 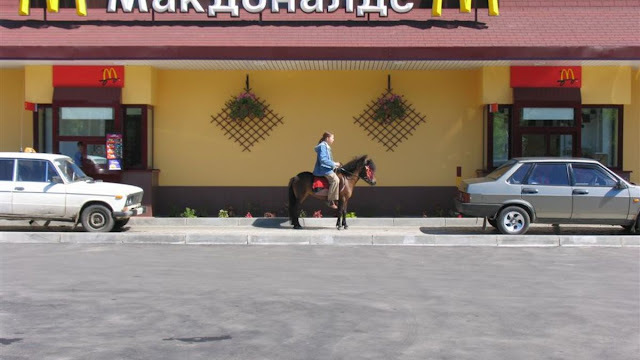 Slightly bemused, she served us, but asked us to please use the drive-through as was intended in the future, for liability reasons. So there you go. 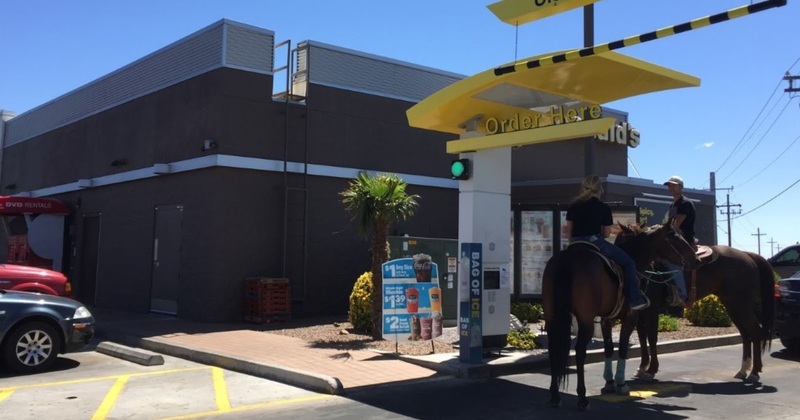 You can ride through a drive-through. 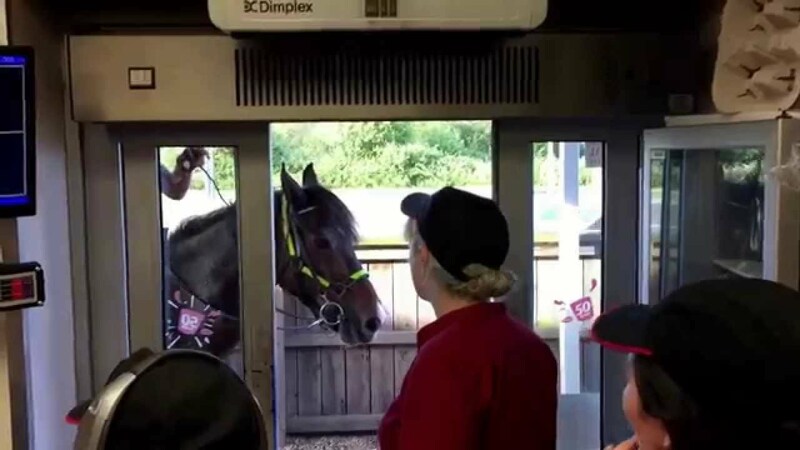 But I wouldn't recommend it, for a whole slew of safety reasons, plus if they're not feeling particularly humorous they may just refuse to serve you in the first place.